Personal protective equipment (PPE) is a broad category of workwear that includes both reusable and disposable clothing and equipment, including gloves, coveralls, foot covers, hard hats, respirators, and even sweatbands. To find the right PPE, you need to understand the risks specific to your particular industry, trade, and profession and know both government regulations and standards. You may feel overwhelmed when trying to navigate the vast array of resources, so we’ve highlighted a select group of useful sites and documents that will help you choose your apparel with confidence. 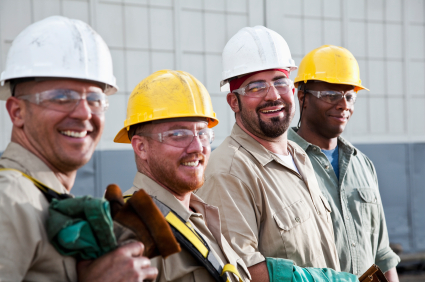 At the federal level, the Occupational Health and Safety Administration (OSHA) regulates PPE. The OSHA PPE Hazards and Solutions site points to regulations, publications, and other resources related to the selection and usage of PPE. This OSHA PPE Fact Sheet is a quick reference that provides an overview of an employer’s responsibilities when selecting PPE and training workers; it also gives high-level summaries PPE considerations for various workplace hazards. The OSHA Publication 3151 – Personal Protective Equipment booklet gives more detailed information like how to conduct a hazard assessment, what to consider when selecting PPE, and how to train workers on its proper usage. The OSHA assessment tool exists to help employers assess protection requirements for various hazards and provides checklists, selection guides and more. OSHA also provides information about OSHA-approved State Plans. State plans operate statewide occupational safety and health programs and are required to have standards and enforcement programs. The State Plans may have more stringent requirements than the federal dictates. On the OSHA website you can find State Plans and contact information as well as an an interactive map. Some of the PPE-specific ANSI standards are listed in OSHA’s Publication 3151 – Personal Protective Equipment;additional detailed information and resources are available from ANSI. Don’t cross your fingers and hope that you and your workers are properly protected — do your research with the wealth of information available to you so that you can arm yourself with the best protection. What resources do you use to stay up-to-date on PPE best practices?